Next Wednesday is the 29th February…and what does that mean?…You guessed it, it’s a Leap Year!!! I thought you all might want something fun and different to order/try over the week-end with this upcoming theme in mind. This classic drink was created by Harry Craddock for the Leap Year celebrations at The Savoy Hotel, London on 29th February 1928. If you’re a Gin drinker you’re bound to enjoy it. 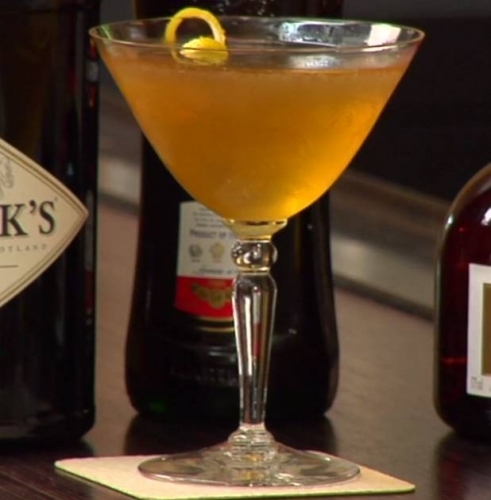 I personally like it with Hendricks Gin (as Hess suggests in the video clip below) but a London dry Gin will also work, and is slightly more appropriate considering the drink itself originated in London. You can order this classic at Bar Chloe in Santa Monica starting today (Friday 24th) I urge you to head down there and get the Leap Year festivites rolling early!